The IKEA Ranarp Pendant Lamp is a powder-coated steel pendant light with exposed joint connections. Designed by IKEA of Sweden, the IKEA Ranarp Pendant Lamp is crafted with sturdy details that are reminiscent of past industrial environments. The IKEA Ranarp Pendant Lamp has an overall width of 15” | 38 cm and a shade height of 9.25” | 23.5 cm. The cord length of the IKEA Ranarp Pendant Lamp is 5’3” | 1.6 m.
What is the IKEA Ranarp Pendant Lamp? The IKEA Ranarp Pendant Lamp is a powder-coated steel pendant light with exposed joint connections designed by IKEA. 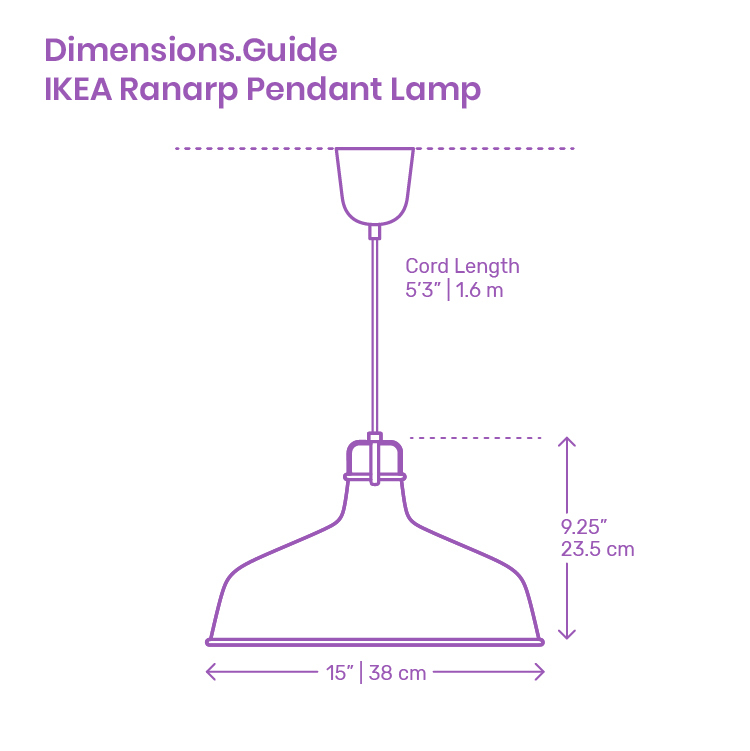 How big is an IKEA Ranarp Pendant Lamp? The IKEA Ranarp Pendant Lamp has an overall diameter of 15” | 38 cm and a shade height of 9.25” | 23.5 cm. How high should the IKEA Ranarp Pendant Lamp be hung?